This is a super easy salad. I made it for Valentine’s Day because of the strawberries, but it really put me in the summer mood. I made the dressing ahead of time, so all I had to do today was assemble it. 1. 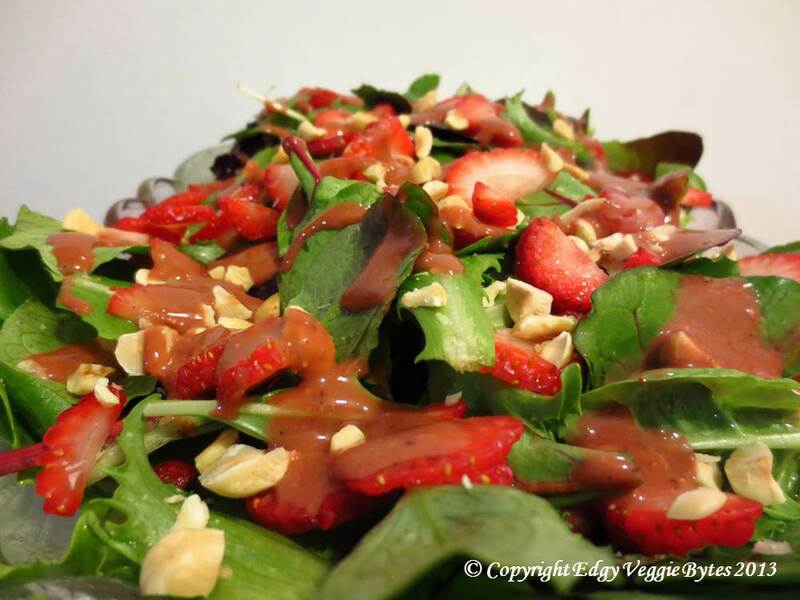 Toss the mixed greens, strawberries, and hazelnuts together. Drizzle strawberry balsamic dressing on top right before serving.